Today is the day many big things are happening at Microsoft. I’ve enumerated them below. 1. This is the end, my friend. 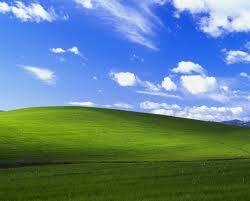 Windows XP is no longer supported. Here is the countdown for Enterprise customers. Unless of course you are the government of Great Britain or a major corporation. You’ll get an extension for an expensive price. 2. Today is also the beginning since a new update for Windows 8.1 will be coming out that includes a return of the Start Menu. Ta duh. I know many people who will be overjoyed. 3. Today is also the end of support for Office 2003. If you have computers running XP you’ll want to upgrade to Windows 7 or 8 especially if your computer has good enough specs to handle it, in other words, if your computer has a big enough processor and hard drive and enough ram to handle a modern operating system. You don’t have to do this immediately. 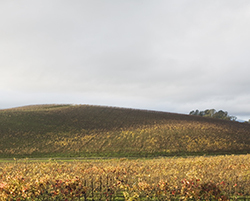 You could keep running XP until you have trouble which may not happen for quite awhile and then change, if you don’t mind the inconvenience of changing when problems arise. Otherwise, you may want to buy a new computer as soon as your time and budget allow. If XP keeps working for you in the meantime, go ahead and keep using it, it will still work but not as securely as before support ended. Again, this may not be a problem for you. It’s not an emergency. Just keep in mind that eventually you’ll need a new operating system or computer. If you are using Office 2003 you should switch to a newer version of Office, or a free open source counterpart like Libre Office. If you haven’t already, you should update to Windows 8.1 and you’ll get a start menu, since it’s coming in an update today. If you’d like help in getting a new computer or upgrading your old one, Ducktoes can help. We have decent, reliable custom computers at fair prices. We also have laptops at great prices. We’ll help you update your operating system or Office product too. We provide computer repair services in Calgary, AB. This is Microsoft has to say about the end of support from their website. Here is what I have to say about the return of the Start Menu in a previous post. The photos are from Creative Commons.